Meet the team at Sticky Ideas! Marketing and Planning/Organization. After having started her career in Germany and the Netherlands, she moved to Australia and worked for the world’s largest technology distributor, Ingram Micro, as well as the biggest Apple distributor Express Online (formerly Simms International). Not only is Daniela a specialist in the European software market, she also brought back home from Australia a thorough knowledge and understanding of the hardware business as well as an accreditation as a NAATI translator. She loves to challenge her opponents to a duel in any sport, preferably tennis, and actually quite often leaves the court as a winner. Even when she loses, she doesn’t waste time being sad about it as there is absolutely no time for that: the next catch up is already waiting. Daniela’s analytical skills are reflected in her function as the “Left Brain” of Sticky Ideas. Katrin comes from a commercial background and gained her first experience in the software industry when working in Purchasing for an international software reseller in Dublin, Ireland. 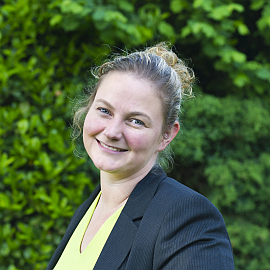 Back in 2000, she moved across to the Dutch brand manager and software publisher Globell B.V. (formerly Top Systems) in the function of Marketing and Sales Manager, heading up the Product Management team. Her strengths are her thorough understanding of both photography and software markets, her leadership skills and efficiency. 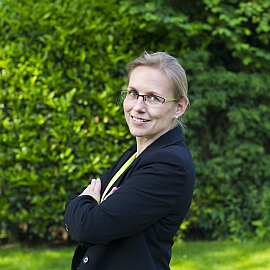 Katrin’s passion is photography which is a big plus when representing both tools & utilities in the German speaking market as well as Digital Imaging products. Katrin absolutely loves travel and nature photography (animals, plants, landscapes) which is why she can be seen crawling through the mud around sunrise. Being the “Right Brain”, she represents the creative part of our team. For over three years, Katrin and Daniela worked together at the Dutch software distribution company Globell B.V. (formerly Top Systems). Back then, they realised that they made an efficient and effective team with different strengths that complement each other. This is apparent in creative ideas, their operative implementation and a well-structured and efficient way of working.With almost 30 years of combined work experience in IT distribution for software products, especially tools, utilities and photography/photo editing software, Katrin and Daniela know the European markets intimately (with a strong focus on Germany, Austria and Switzerland), the Australian market and their relevant players. Their global network is an important asset they can draw to and that has proved extremely profitable and useful in the past. As managing partners at P+A Photo Adventure GmbH, they managed to successfully implement a trade show and event called Photo+Adventure, combining the topics of photography, travel and the ourdoors. With more than 10,000 visitors, the show has grown to be one of Germany's most significant photo exhibitions and, at the same time, is the best possible reference for their planning and organization skills in terms of event management. Katrin and Daniela are supported by competent freelancers and specialized agencies, all of whom have worked with them for several years. This network allows Sticky Ideas to be as scalable and flexible as needed to fulfil your demands and help you to succeed.